With the fall of the Soviet Union in 1991, the Central Asian states gained independence and set out on a transition process with great expectations for what it would bring in terms of democracy, freedom and human rights. However, 25 years later, the situation is much less rosy. Fundamental rights such as freedom of expression, association and assembly are seriously restricted in the region and recently the authorities have increasingly tightened the screws on civil society. 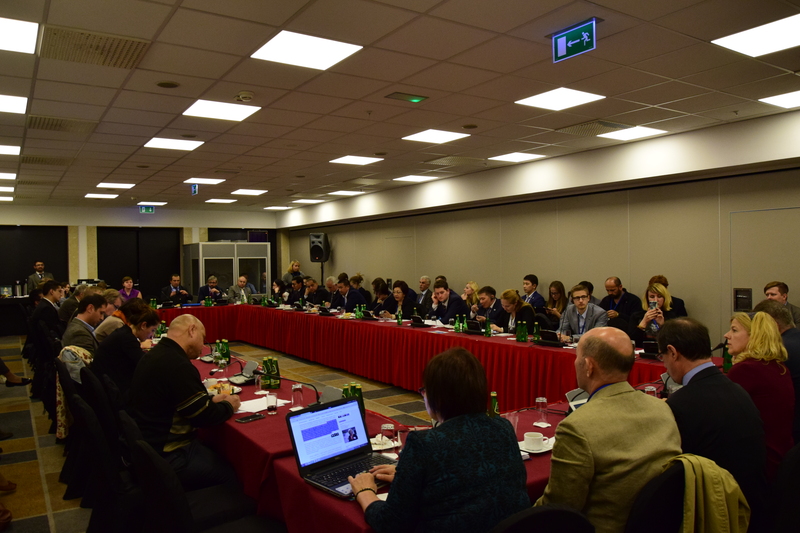 A briefing entitled “Voices from the field: Central Asia 25 years after independence – Assessing human rights performance in a troubled region” was held at the sidelines of this year’s OSCE Human Dimension Implementation Meeting (HDIM) in Warsaw in the evening of 21 September 2016. 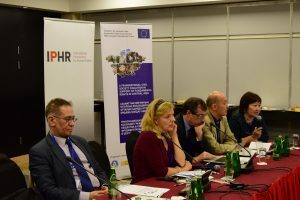 At this event, Central Asian civil society representatives discussed current human rights trends in the region, appraised the policies of their respective authorities in this area and discussed opportunities and strategies for how to counter alarming trends. The speakers included Parviz Mullojonov (political expert, Tajikistan); Yevgeniy Zhovtis (Chair of the Council of Kazakhstan International Bureau for Human Rights and Rule of Law); Farid Tuhbatullin (head of Turkmen Initiative for Human Rights); and Tolekan Ismailova (head of Bir Duino Kyrgyzstan Human Rights Movement). 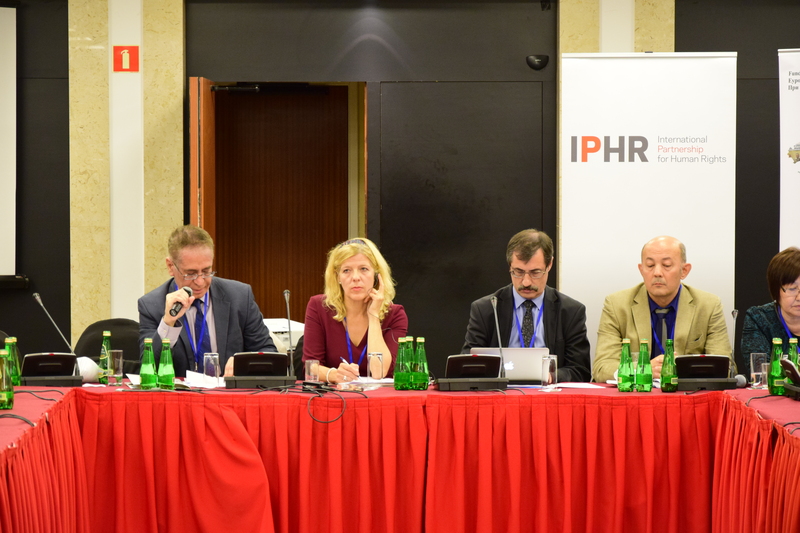 Brigitte Dufour from International Partnership for Human Rights (IPHR) moderated the event. Parviz Mullojonov said that the situation in Central Asia is heavily influenced by external factors, which also impacts the outlook for reform. The recent economic downturn in Russia has weakened Tajikistan’s remittance-based economy as labour migration from Tajikistan has declined. The government has responded to growing economic instability by stepping up efforts to control civil society and other sectors of society. Further developments will also largely depend on developments outside the country, especially in Russia. Yevgeniy Zhovtis pointed out that while an economic transition has taken place in Kazakhstan in the past 25 years, no real political transition has taken place in so far as there has been no modernization of government institutions or the legal system. He countered arguments made by government representatives that political stability should be prioritized over democratic and human rights reforms by saying that no real stability can be achieved through repression but only by securing respect for human rights. Farid Tuhbatullin stressed that the new constitution adopted in Turkmenistan abolishes all limits on the number of terms the president can serve, which is no promising indicator of the direction of political reform in this country. While the government is investing heavily in constructions ahead of the 2017 Asian Indoor Games to be held in Ashgabat, such as a grand new airport, basic human rights issues facing citizens remain unaddressed. For example, the repressive Soviet-era propiska system remains in place and authorities have recently cracked down on those lacking propiska in particular in the capital. 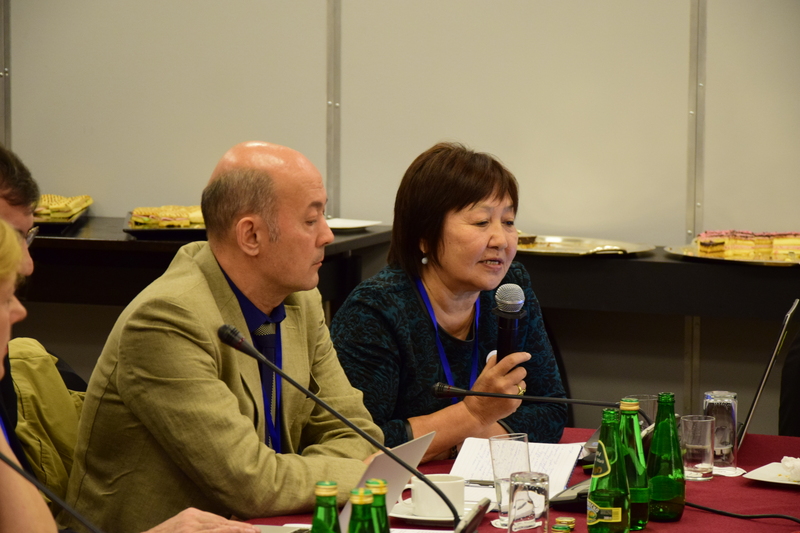 Tolekan Ismailova said that although Kyrgyzstan’s parliament earlier this year rejected the stigmatizing “foreign agents” draft NGO law, hateful rhetoric against NGOs and their representatives remains widespread in the country. She also highlighted the failure of Kyrgyzstan’s authorities to comply with the request from this spring by the UN Human Rights Committee to immediately release human rights defender Azimjan Askarov, who remains imprisoned for his alleged role in the 2010 inter-ethnic conflict in Kyrgyzstan and a retrial in whose case is set to start in early October. There was a lively discussion at the side event with both government and civil society participants taking part. The briefing was organized within the framework of the project “A Transnational Civil Society Coalition in Support of Fundamental Rights in Central Asia” implemented by Kazakhstan International Bureau for Human Rights and Rule of Law, Nota Bene, Turkmen Initiative for Human Rights and International Partnership for Human Rights with financial support of the European Union.